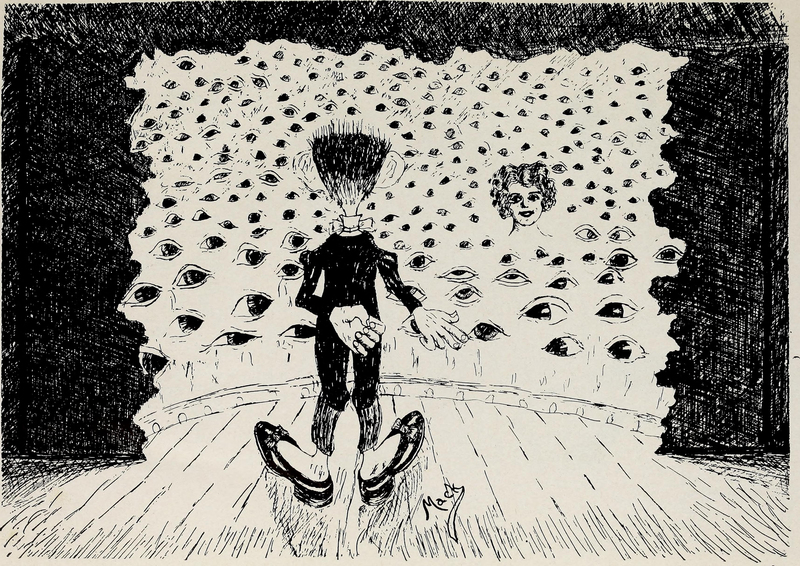 Stage fright. 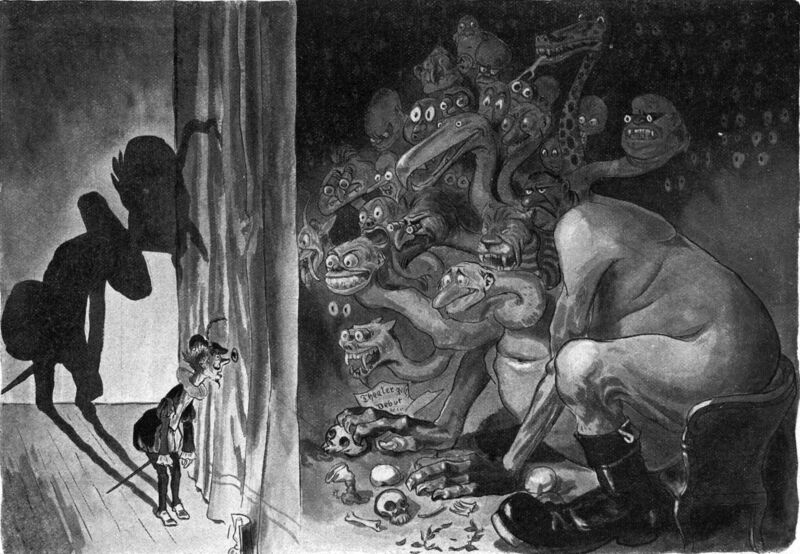 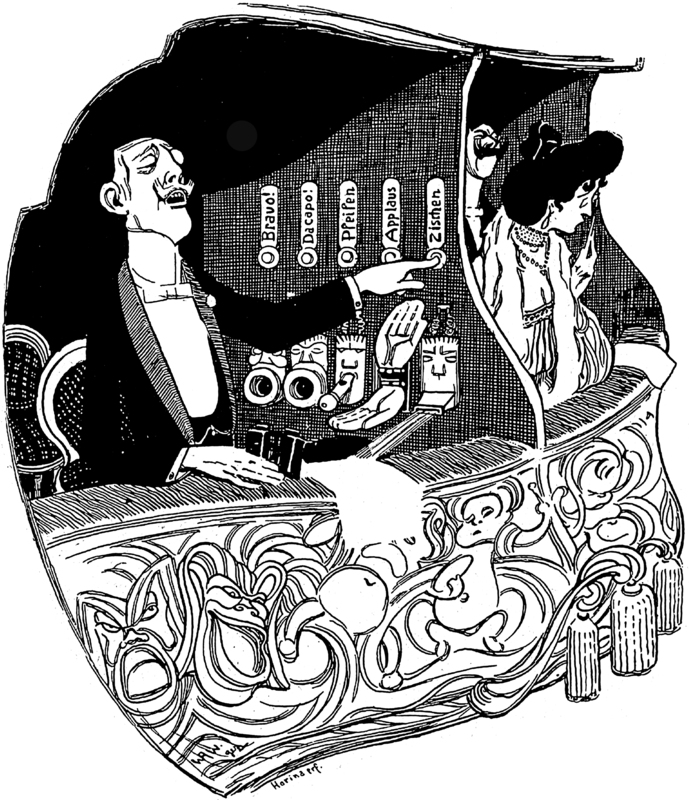 From Lustige Blätter, 1906. 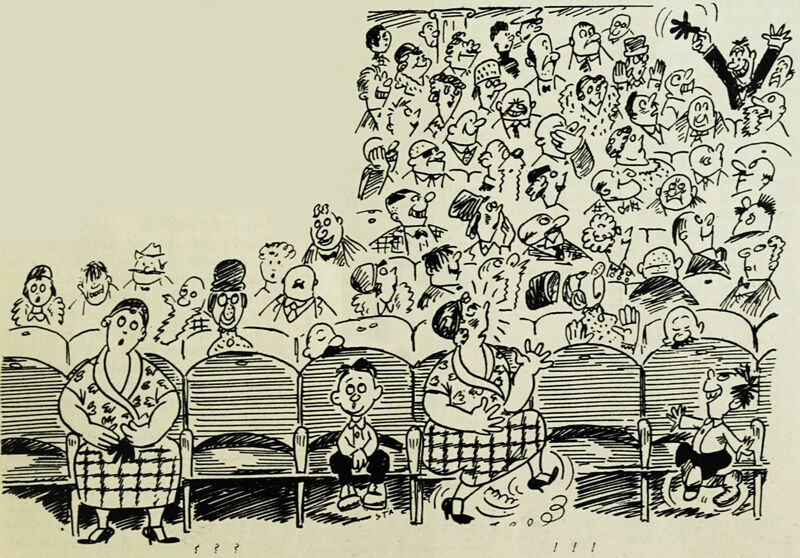 Reblog if you're that thing in the audience (see inset). 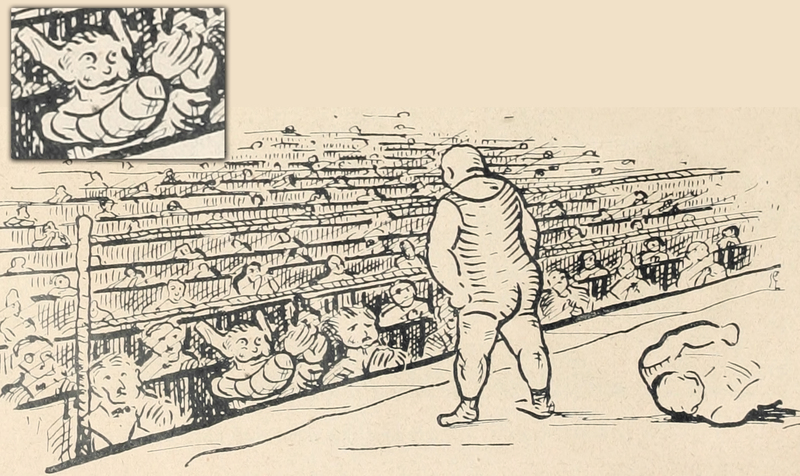 From Zwanzigste Jahrhundert, 1921. 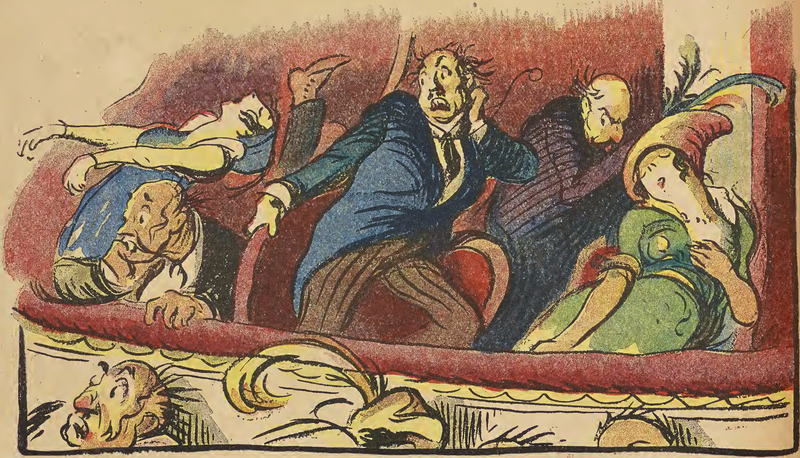 Tragic and comic, shocking and risqué. 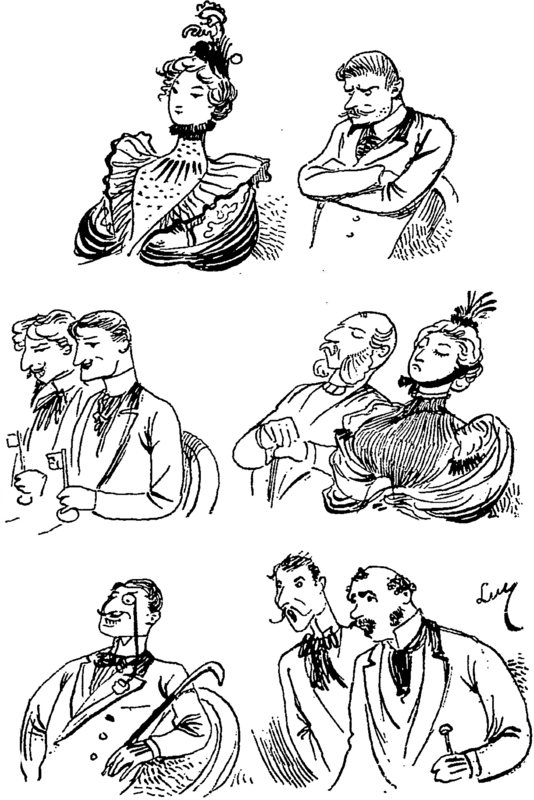 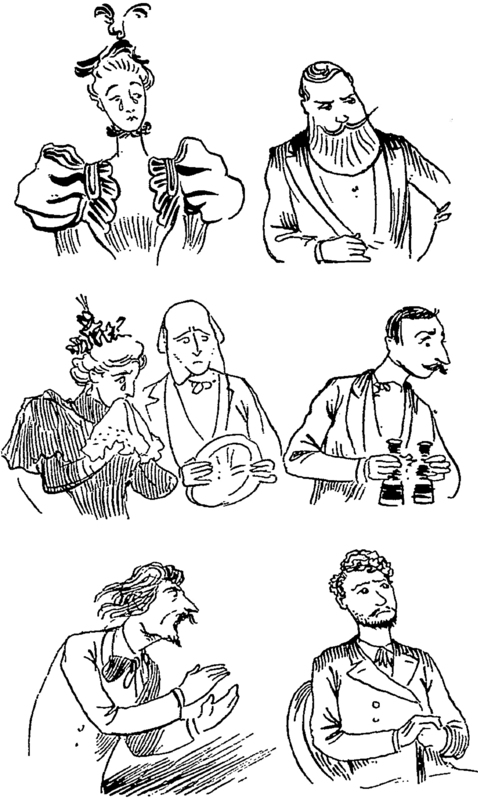 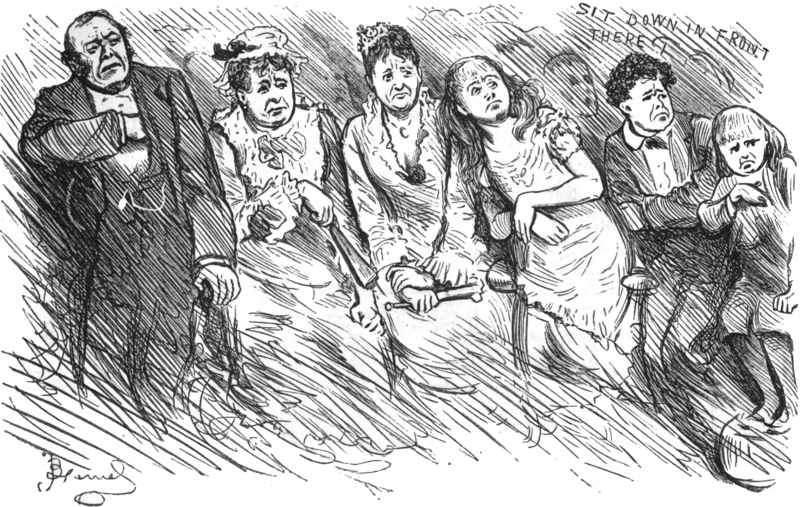 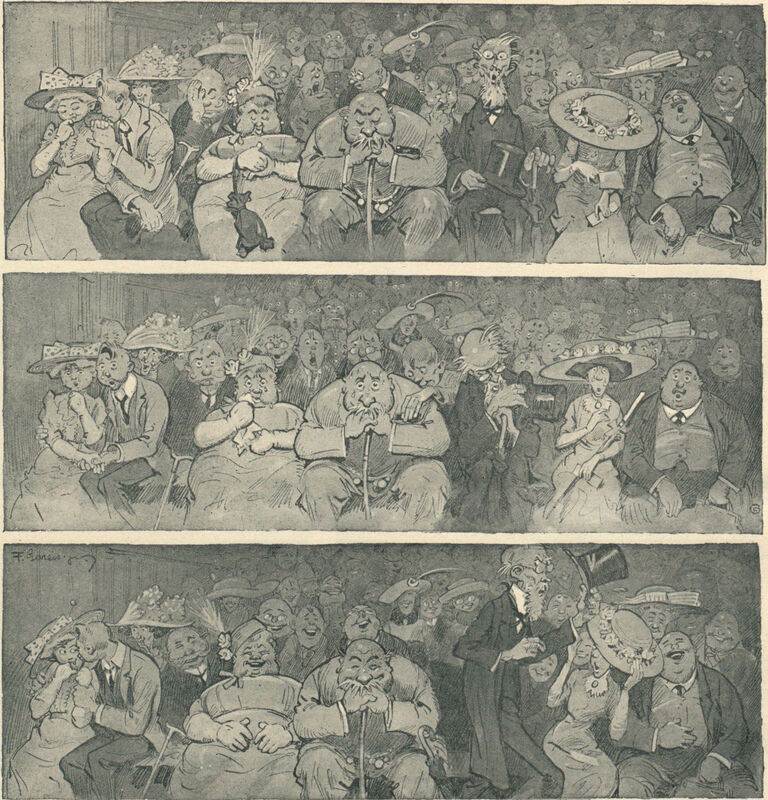 From Le Rire, 1901 and 1902. 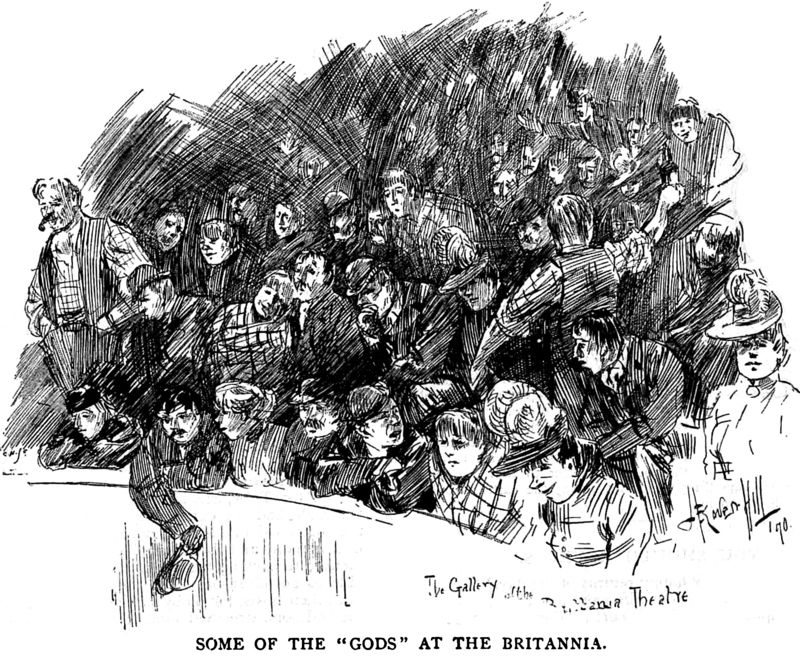 "Some of the 'gods' at the [gallery of] the Britannia [theatre]." 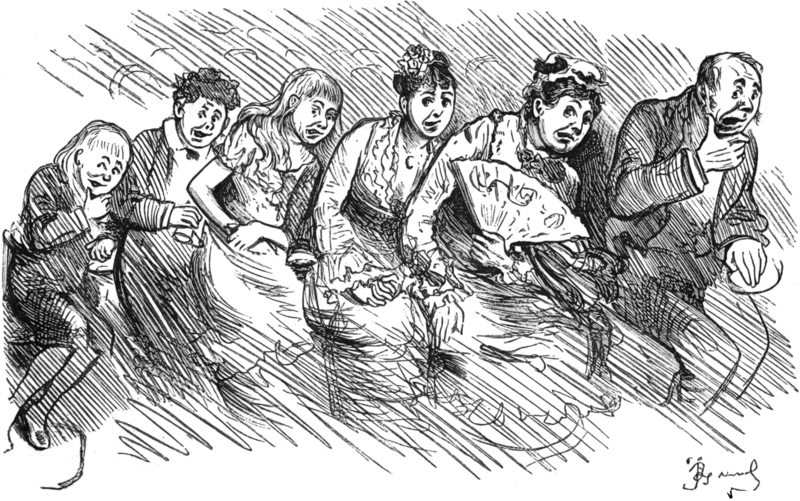 From Pick Me Up, 1891. 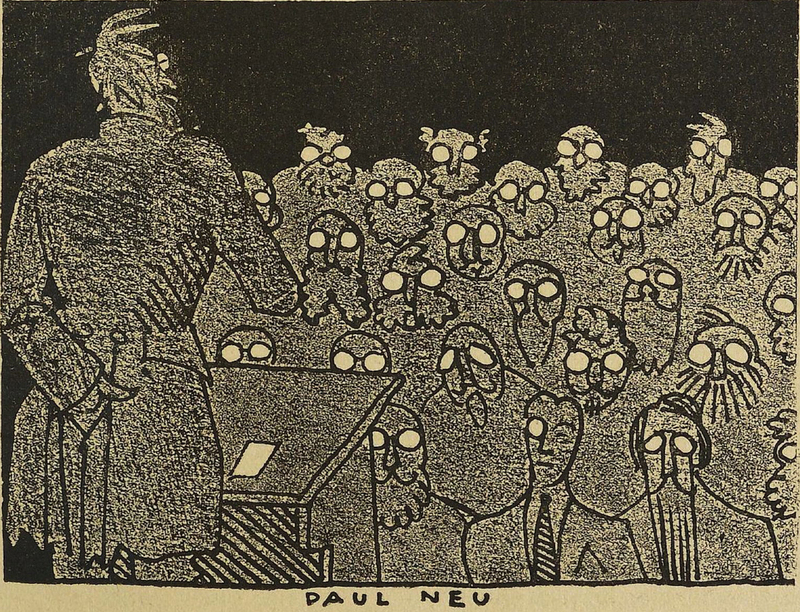 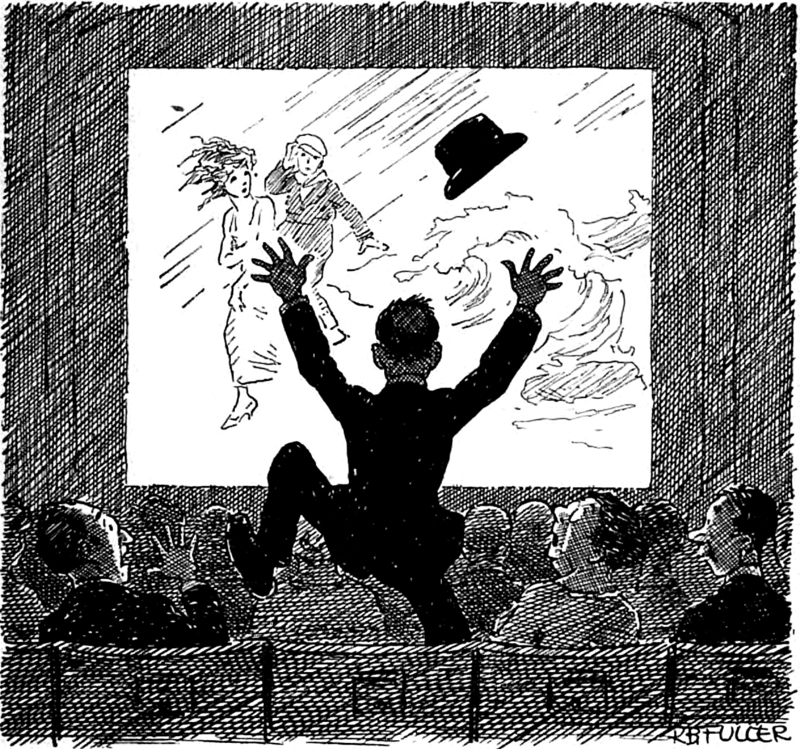 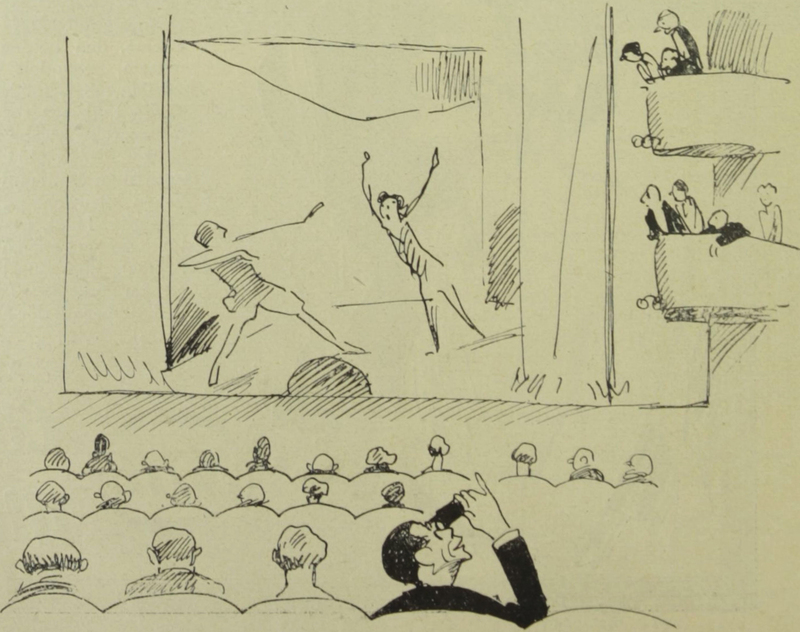 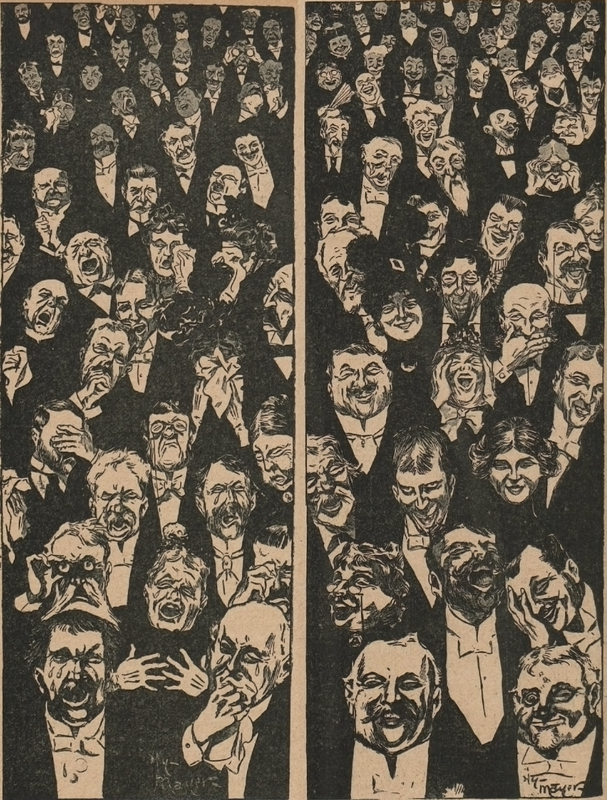 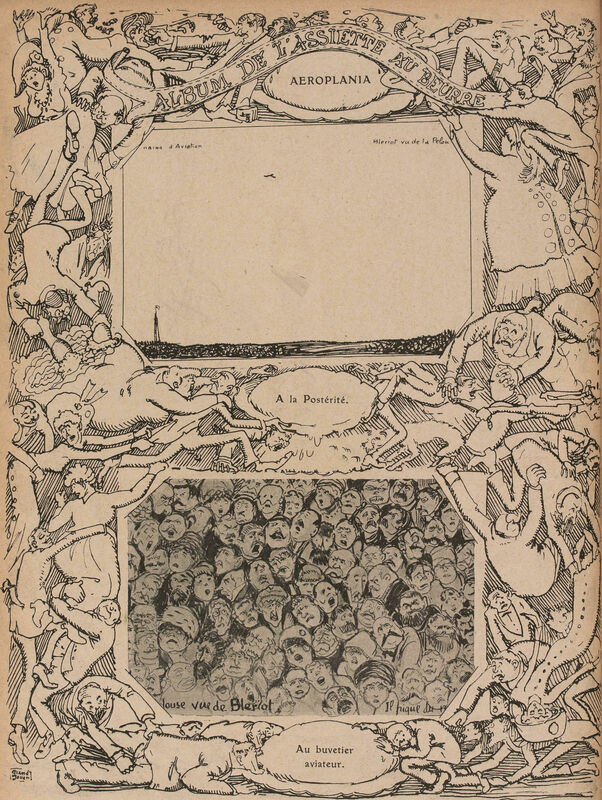 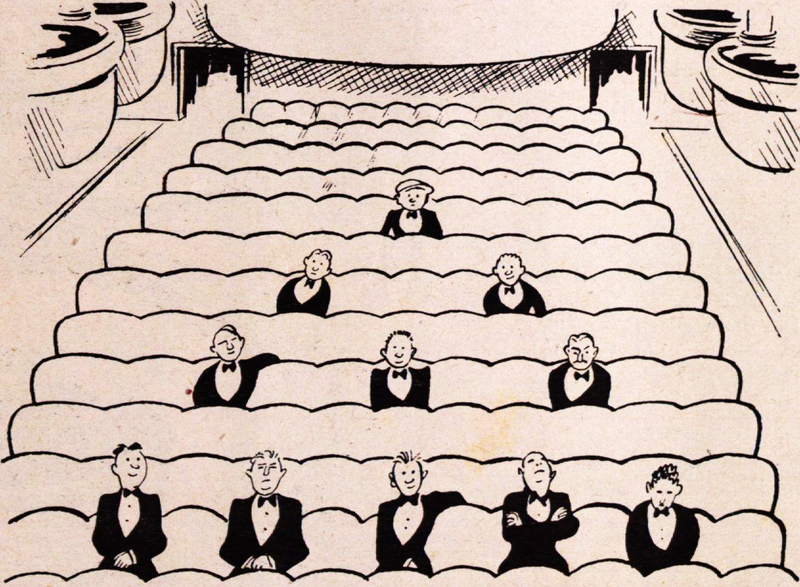 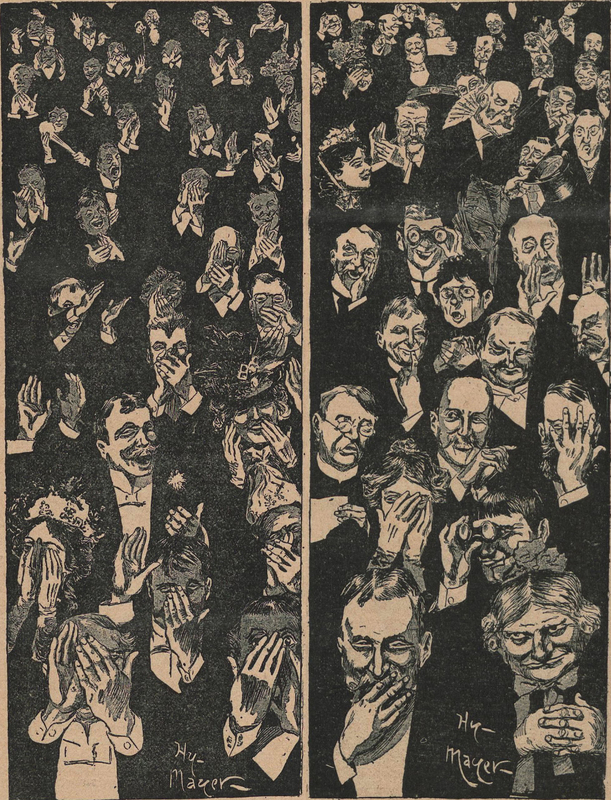 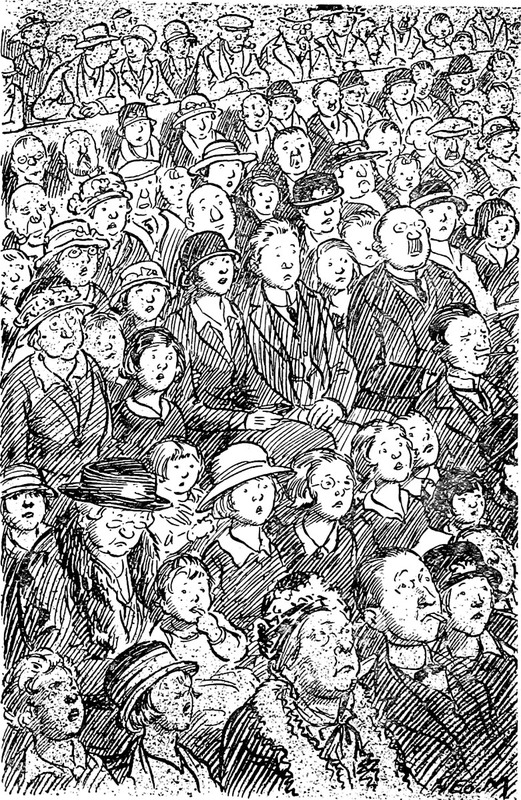 The same audience watching a documentary, a drama, and a comedy, from Die Muskete, 1916.